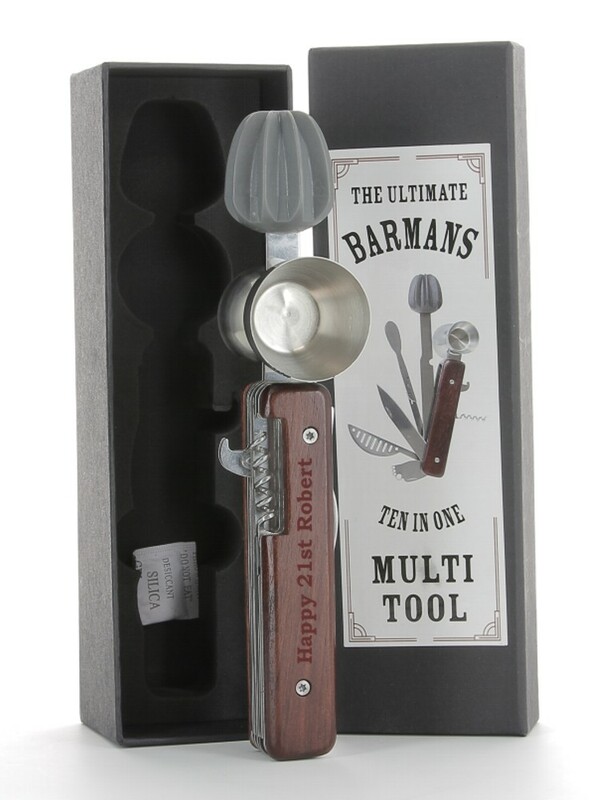 Personalised Laser Engraved The Ultimate Barman's 10-in-1 Multi-Tool Set. 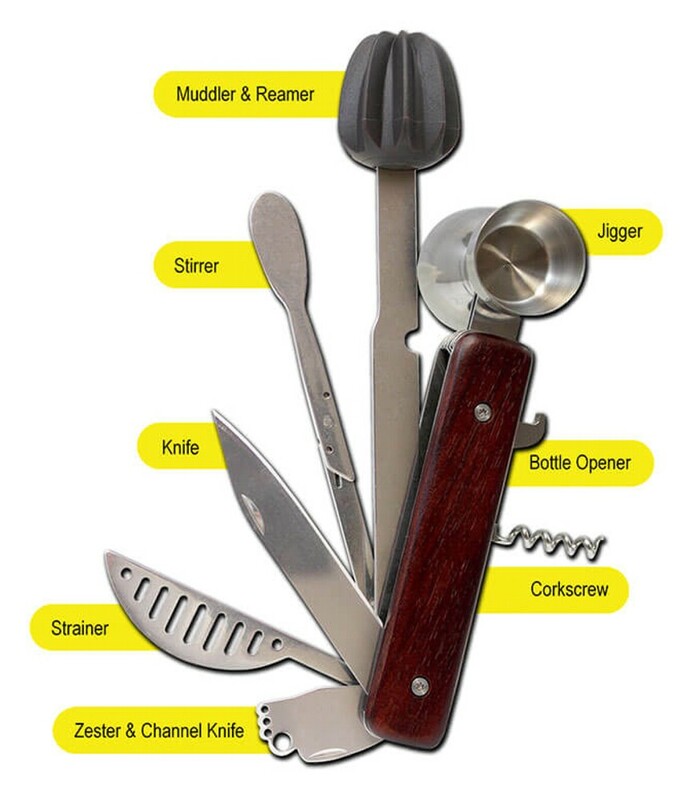 This amazing stainless steel multi-tool set with a wooden handle has 10 features: Muddler, Reamer, Jigger, Bottle Opener, Corkscrew, Zester, Channel Knife, Strainer, Knife and Stirrer. It measures 250mm (L) x 65mm (W) x 65mm (D). A well made unique gift for the novice or pro barman! Your text will be laser engraved along the main wooden handle part of the multi-tool as shown in the picture.